Leo (The Idle Swede) is my right-hand man on Jake's Rolex Watch Blog and Leo of course is a Rolex fanatic, but most people don't know he is also an Elvis fanatic. 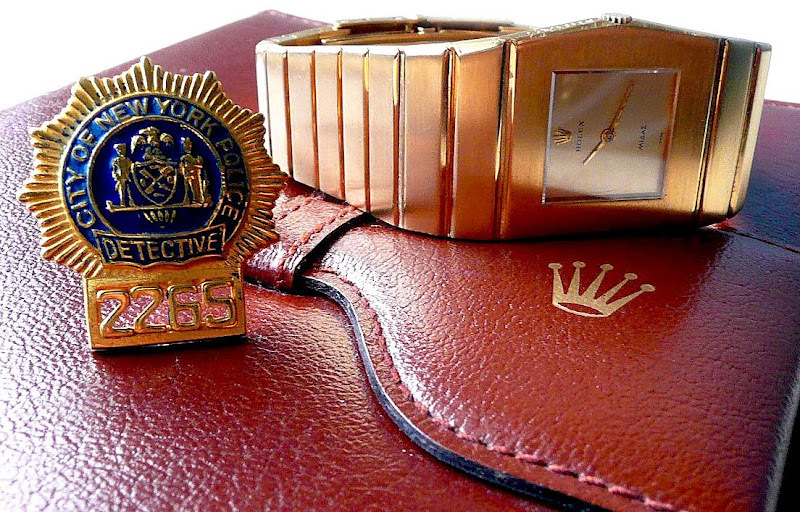 Elvis Presley wore an original Limited Edition (Individually Numbered 1 through 999) Rolex King Midas just like Leo's which is pictured below. Elvis Presley was really, really into collecting Police badges for some bizarre reason so Leo (The Idle Swede) collects them as well as pictured below. Leo took this amazing Rolex studio shot which I love. You can learn all about Elvis Presley's Rolex King Midas and see exclusive photos of Elvis' actual watch that were shot for Jake's Rolex Watch Blog by Graceland in Memphis, Tennessee by clicking here.